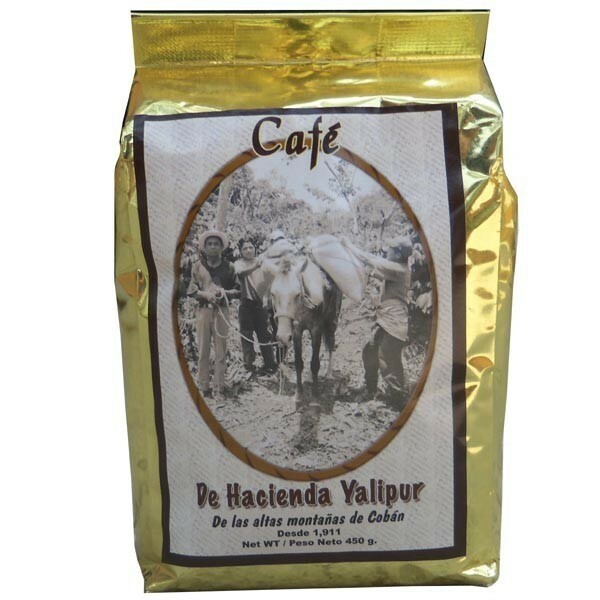 All our Hacienda Yalipur coffee come in 450g (1 pound) bags. Served in the restaurant at the Orange Gallery. 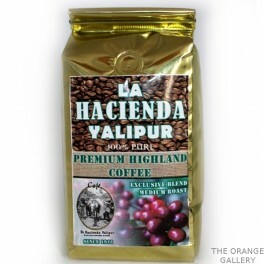 Our coffee is grown at over 4,000 feet above sea level) and 100% local to its region: Coban, Guatemala. 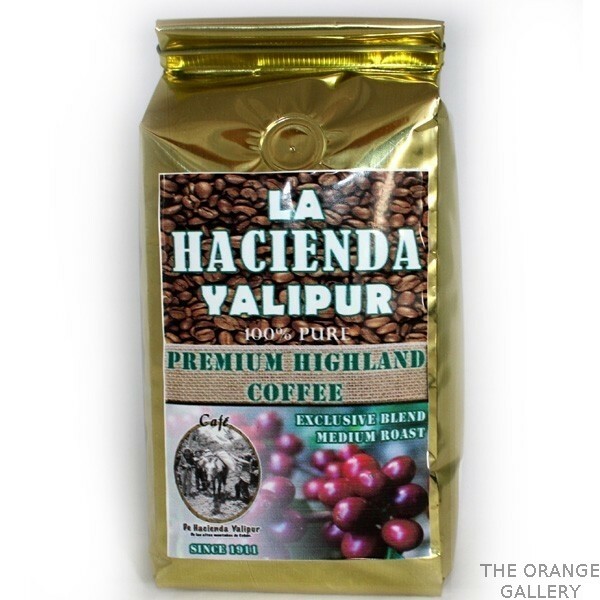 Recommendation: As such, at maximum strength, only use 5/8 cup of ground coffee per 1/2 gallon water. Obviously, this depends on what method you use: turkish, drip, french press, percolator. I use a Bun drip coffee machine.